There are harpsichords all over Age Of, electronic composer Daniel Lopatin’s eighth studio album as Oneohtrix Point Never. It’s an instrument that Lopatin derides in press materials as a “perfectly dumb machine”—one that always reverberates the same, no matter how you strike the keys. That sound, reminiscent of parlors and powdered wigs, is used here to evoke the long, lingering continuity of the history of music, if not civilization itself. And it’s one Lopatin, with typical fervor, immediately sets about tearing to pieces—warping those stately, sophisticated tones, then slashing them with digital screams in the title track; echoing them against themselves until they collapse into an indistinct clangor on “Myriad.industries.” It’s all part of the record’s loosely sketched concept of an advanced world going mad and self-immolating, leaving behind a (surprisingly sentimental) artificial intelligence to pick through their cultural detritus. Admittedly, this is a lot of nuance to ask of something so monotonous as the harpsichord. But as always, Lopatin makes every modulated note say exactly what he wants. He also finds a relatively new way with Age Of, his first album to prominently feature vocals on half its songs—some of them even approaching a genuine, if jagged form of pop. This makes sense. Lopatin is currently one of the most famous electronic artists in the world, his crossover appeal particularly notable for someone who makes music as dizzying and deconstructed as his own. Last year’s pulsing, Tangerine Dream-y score for the Safdie brothers’ Good Time made him a critical darling, even outside of critics who listen to experimental synthesizer music. He’s toured with Nine Inch Nails and staged pieces at the MoMA; he’s collaborated with Iggy Pop, David Byrne, and FKA Twigs. Age Of is being released amid the arguable peak of that mainstream exposure, and it seizes the moment by offering up some of Lopatin’s most “songful” compositions since his days in Ford & Lopatin. The result is a remarkably accessible, yet still resolutely avant-garde work, with Lopatin taking various musical forms—cough-syrupy R&B jams, country ballads, baroque chamber pop—and wresting unexpected nuances out of them, the same way he does that harpsichord. He has some help. ANOHNI, whose Hopelessness album and Paradise EP both featured Lopatin’s contributions, twice returns the favor—singing an off-kilter torch song over the drowning jazz of “Still Stuff That Doesn’t Happen,” and bringing typical grace and wounded humanity to “Same,” whose Gregorian-chant-like mantra is lifted by an ever-rising choir out of a shower of digitized breaking glass. Venerable New York noisenik Prurient (Dominick Fernow) similarly appears on two tracks, layering in industrial hiss and a distorted, death-metal scream on the otherwise gentle croon of “Babylon,” then huffing and moaning, “In the glass house, it’s disgusting,” over the stuttered synthetic voices of “Warning.” James Blake is in there, too, though he doesn’t sing, instead playing something Lopatin calls “sideways ragtime” piano on “We’ll Take It” over gibbering loops of sped-up chipmunk laughter and a Terminator-stomp of machinery. Although, good luck identifying a sound so prosaic as piano amid all its ominous warps and bends. If this all sounds kind of ugly and jarring, it often is. The themes of Age Of are typically dystopian: describing environmental disaster in “Babylon”; a post-nuclear wasteland where animals have been genetically modified into radiation detectors on “RayCats”; and, in the James Ferraro-like, Microsoft Muzak of “Toys 2,” the collapse of late capitalism into lobotomized consumerism. (That instrumental also asks you to consider another dystopian prospect, a sequel to the 1992 Robin Williams comedy Toys, with Lopatin saying he drew inspiration from Williams’ clause in his will demanding that his image not be revived via CGI. It even faintly evokes Wendy & Lisa’s “The Closing Of The Year” being chewed up by a Walkman.) But uncomfortable as Age Of often is, it’s far from unlistenable. Lopatin deftly balances the scathing and the soothing, couching these pessimistic critiques in collages that feint at commercial appeal, without ever tipping into rote, art-school irony. And you can even sing along to some of them! 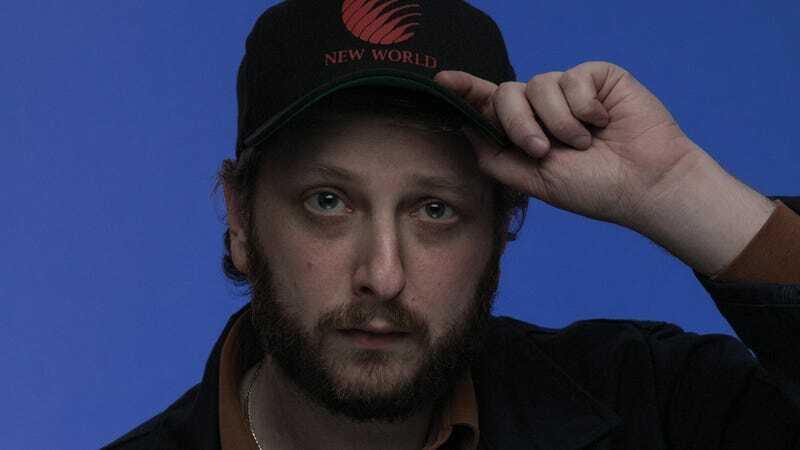 Most promisingly, that’s especially true of the songs where Lopatin takes the lead, his vocals processed and scattered but still unmistakably soulful on the New York love letter “Babylon,” then bobbing atop the watery, Auto-Tuned R&B of “Black Snow,” a song as close to a radio single as Oneohtrix has yet produced. On its companion, “The Station,” he stretches his voice through a vocoder, pitching and yawing it over a barebones bass loop eking out a slow, funky jam—a Oneohtrix Point Never song you could actually make out to. Tellingly, “The Station” was originally written for Usher, an unlikely fan who commissioned Lopatin to send him a demo sometime. It’s the kind of collaboration that once might have seemed ludicrous when Lopatin first emerged with his decaying, detuned whirls, but as Age Of argues, it’s logically part of that same continuum of musical evolution. And it’s one that this album, with the versatility of talents on display here, makes seem all the more plausible. Hopefully our robot overlords will like it. Purchasing Age Of via Amazon helps support The A.V. Club. 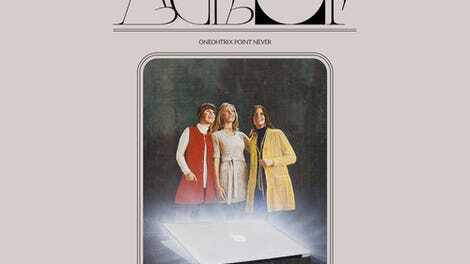 Is it live, or is it Oneohtrix Point Never?